Definitely well put together and some big names involved but I don't think any single part of it made the crowd go wild with amazement. I was kind of hoping for some sort of previously-considered-impossible/hard effect in there, but nothing really stood out. However it was still good and with a dig at 8088, nothing prevents a thumb up. Ooooh... a C64 demo chock full of effects that actually has a good pace and where scrollers don't overstay their welcome? You got me! I love it! Great demo! Some excellent scrollers in there. I wonder what the full version will look/sound like. Indeed you prove again, that you are demo. A leading force, no doubt. Great visuals, effects and transitions. excellent! that said, i had somewhat higher expectations, given the names, and the hype ... but what do i know ;) thumbs! How come i like blip-blops and big pixels so much? Great! Especially the graphics towards the end. Top! Just watched it again on real hardware. Love the part with monitor-head. rulez added on the 2016-03-27 23:05:57 by ɧ4ɾɗվ. You are Demo, of course ! Full of flavour and colour! And Dat Scroll would look great even on Amiga hardware, cool creative design there! Excellent and very enjoyable demo with superb music, great design and transitions and the usual good effects. Awesome! rulez added on the 2016-03-28 09:26:59 by w00t! Some good content by stylewise absolutely not my taste. Didn't manage to keep my attention very well after the first couple of minutes. Piggy for effort. The first twister was a little disappointing, but later it picked up great. From the second diskside on, the demo is totally superb. The beginning is a little bit long-winded, but then it gets better and better with superb music, nice effects and great graphics. Great demo overall. Great gfx and design. Excellent stuff. I enjoyed it a lot. Both graphically and musically. Wow, simply gorgeous, i love it! Very strong GFX, especcialy the end part !! While generally very nice (and great music as well as pixel art) it felt a bit slow, too. Routine stuff; and that's about it. Stagnation on a high level of execution. Thumb up for the pacing/direction which elevates this from "solid" to "good". Stellar quality, and what kebby said. 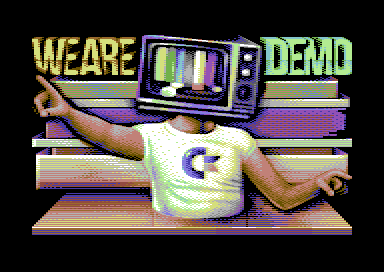 Very well crafted C64 demo, kudos to everyone involved in the making of this one. Some nice graphics and build-ups but not very interesting effect-wise. page created in 0.021723 seconds with 15 queries.